Whether you have a large outdoor space, patio, roof garden or balcony the Palermo White 2 to 4 Seater Pedestal Garden Table will fit perfectly. 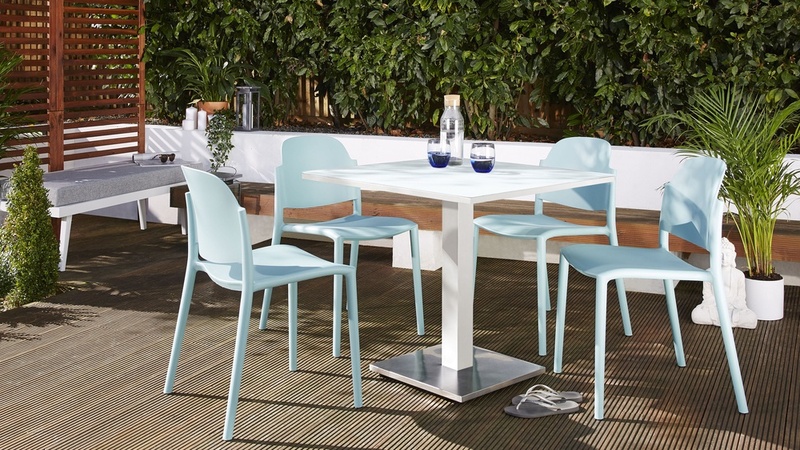 This bistro style table is the ideal place to enjoy dining in the sunshine. 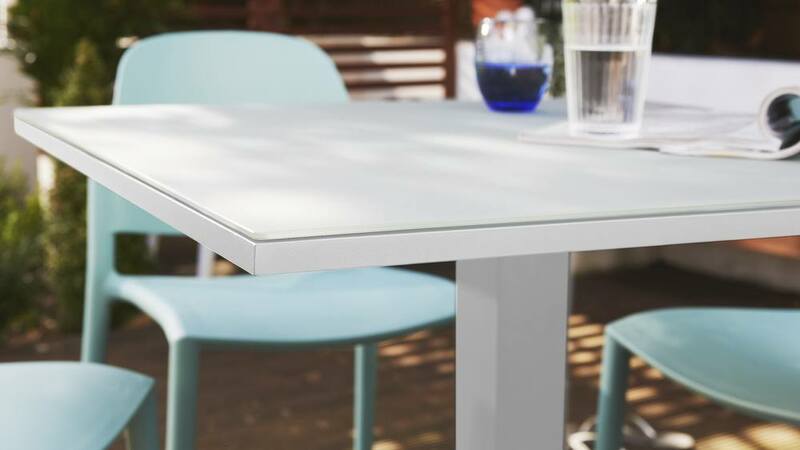 The combination of a durable powder coated aluminium frame, an etched glass top and based finished in brushed steel gives this table a premium and designer look. Designed to seat between 2 and 4 people, the Palermo garden table has a pedestal base. 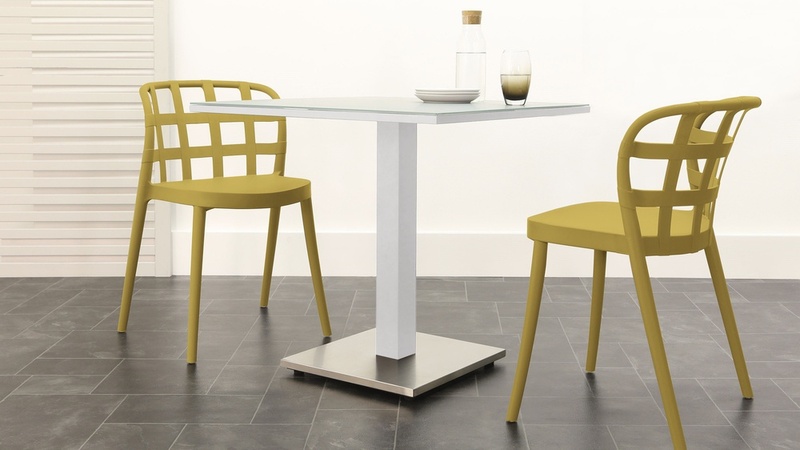 This is a versatile and space-saving feature which means you're not restricted by legs at the table corners and can easily gather round a few more chairs for informal dining. This makes the Palermo ideal for smaller gardens or patios, but would also look fabulous in a little nook of a larger garden too. The pedestal of the Palermo table is made from aluminium with a fresh, white powder coated finish which is effortlessly modern. 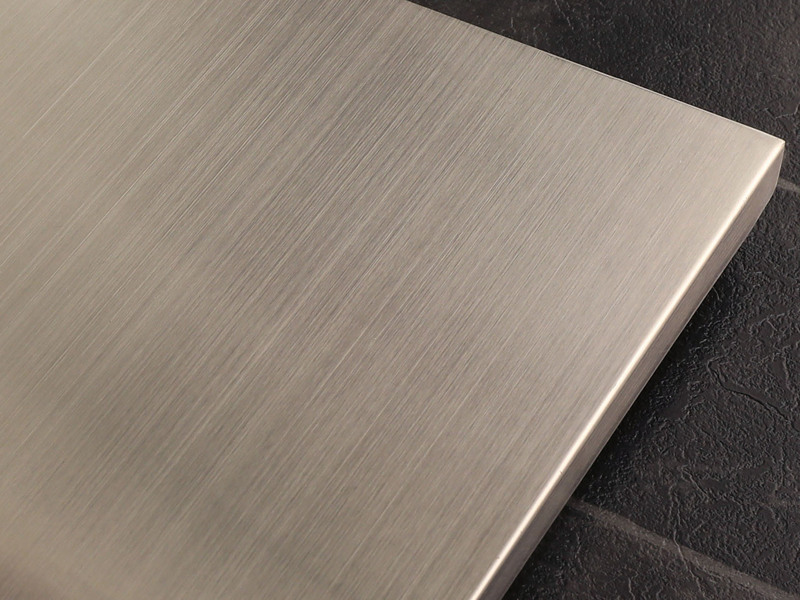 The matt looking finish is easy to clean and maintain, while aluminium itself is naturally anti-rust. This means you needn't worry about your garden table during those summer showers! 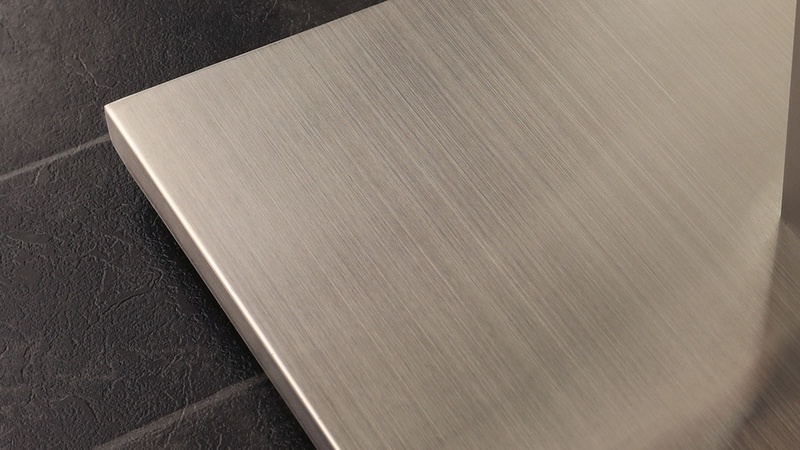 The aluminium tube frame and brushed steel base (rather than solid metal) keeps the Palermo table lightweight and therefore easy to move and store. This is a great feature as you can quickly rework your garden space and then store the table away during the winter months. The tempered glass top is also very lightweight yet it remains incredibly strong. 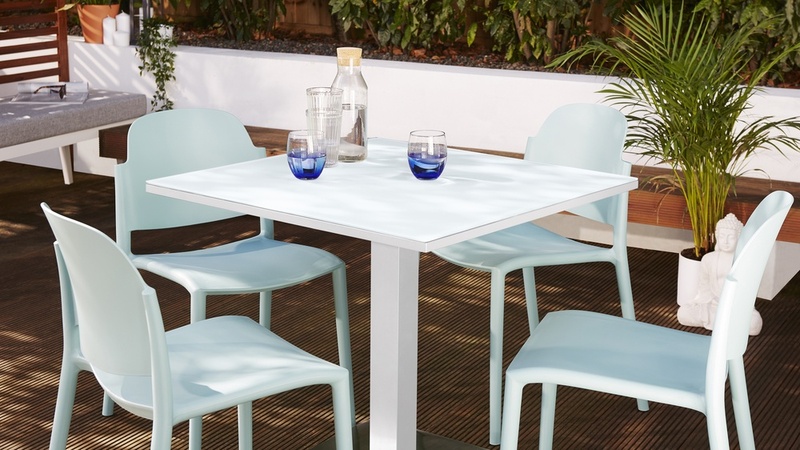 Being slightly thinner than other outdoor dining tables also keeps the table light and able to be moved easily, again so you can rework and adjust your outdoor space. To avoid the glare of the sun when your seated at the Palermo Garden Table, we've given it an etched glass table top. 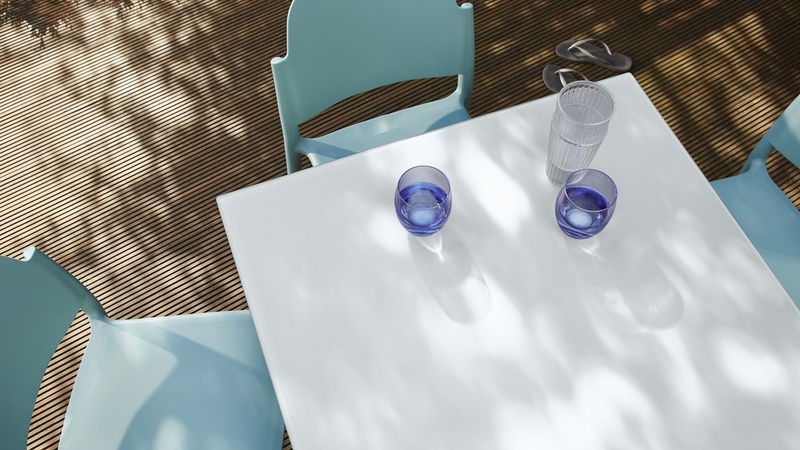 Not only does this give the table a premium, designer look, the etched glass has a hazy, light appearance, helping to keep your garden looking fresh. Etched glass is not overly reflective which also means you won't get a glaring reflection in the sun. A really thoughtful feature of this bistro-style garden table is the adjustable floor protectors. This means you can not only protect your patio or decking but can also adjust the protectors to accommodate an uneven floor, which is often the case outdoors! Love the look but need to seat more? Take a look at the Palermo White 6 Seater. 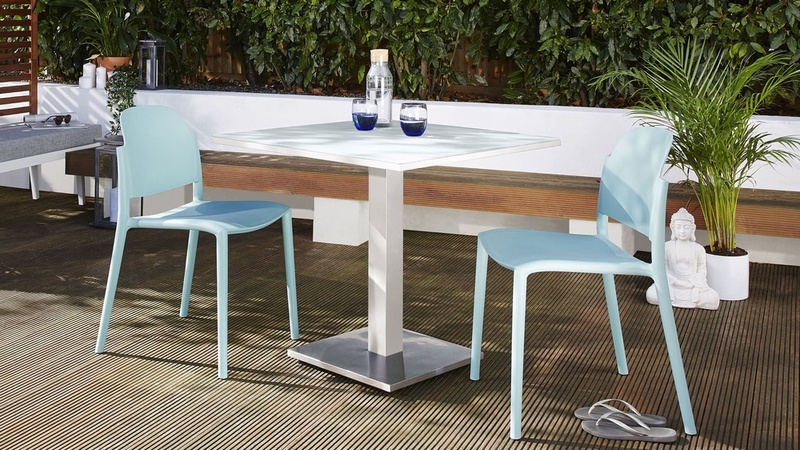 Or for a darker colour check out the Palermo Grey 2 to 4 Garden Table.